Feminized and non-autoflowering version of our SWS14 (Green Poison) now featuring ultra-fast flowering. This strain is an F1 hybrid resulting from the cross between an elite clone of our appreciated Green Poison and a selected 3rd generation of SWS30 (Green Poison Auto). 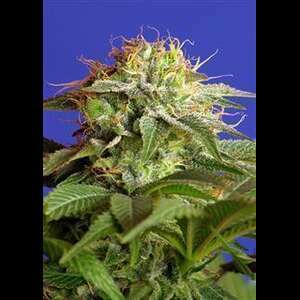 This strain is ready to harvest with thick buds all covered of abundant aromatic resin only 6 weeks after the flowering photoperiod begins. The plants have the appearance of Indica-Sativa hybrids, with an exceptionally vigorous growth, a very fast flowering and large production of flowers. Exquisite taste and aroma with a sweet intense hint of fruit. This strain is remarkably resistant to mold in outdoor grows, considering that due to its fast flowering the plant succeeds in anticipating its harvest to the period in which botrytis usually attacks.